Why does a Border Collie need a muzzle? For vet visiting, transporting and when you leave the dog alone for some time in public place. Collies aren't aggressive dogs, but they still should be muzzled in some cases. 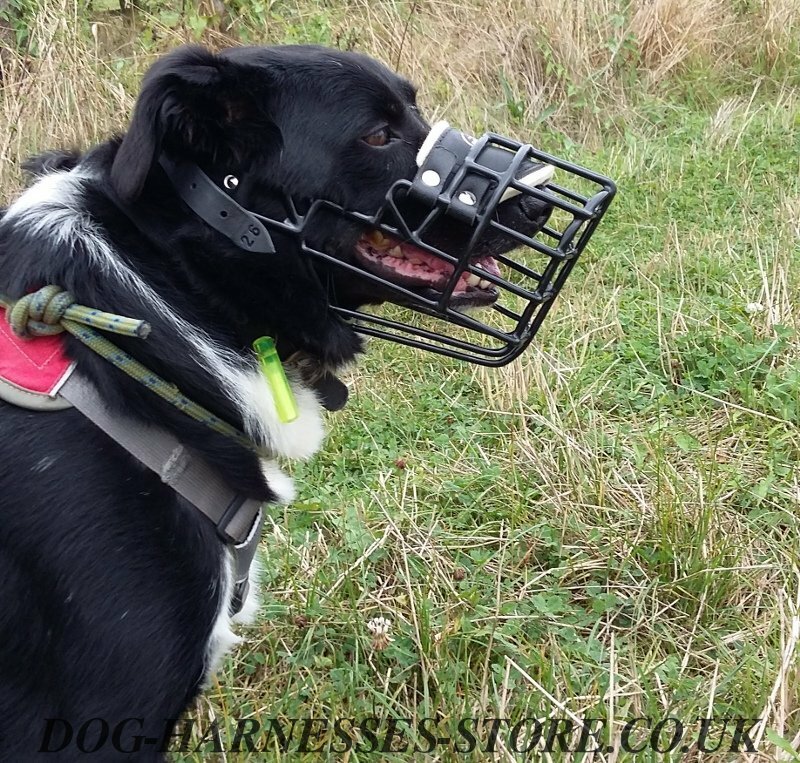 That is why we created special Border Collie muzzle, which is very comfortable and safe. 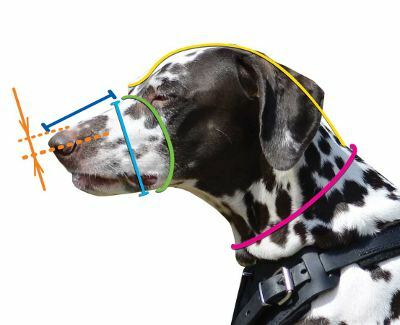 This wire dog muzzle allows the dog to breathe freely, to open its mouth, to lick the nose, to eat treats and even to drink water! Your Collie will feel no discomfort being muzzled! This is the most important feature of the muzzle we offer! 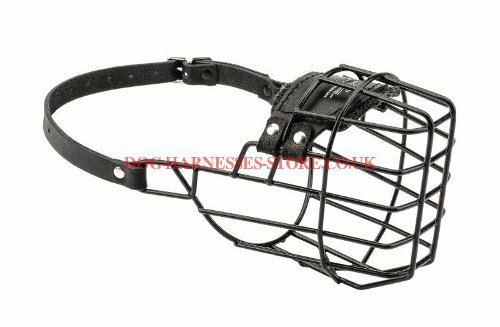 This muzzle is of extra strong rust-resistant stainless steel wire. 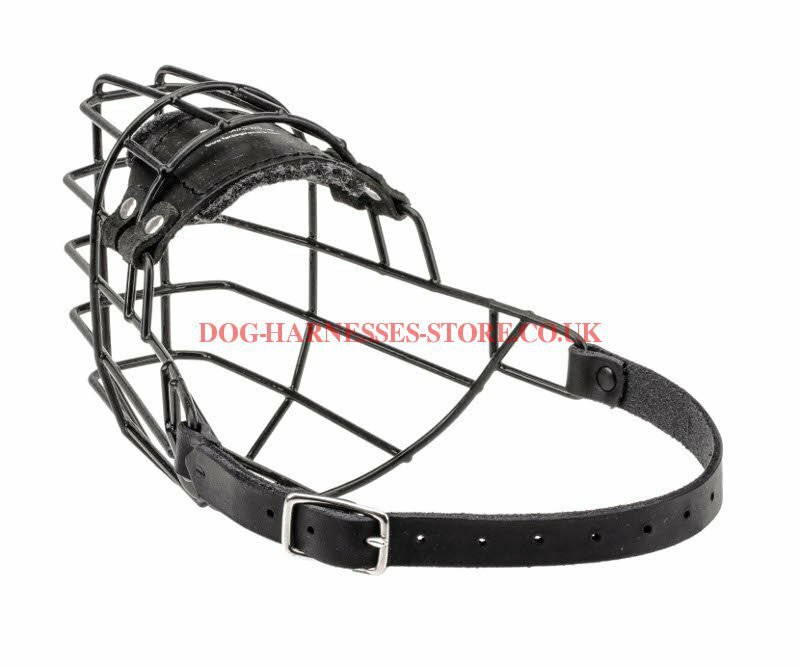 The muzzle is covered with black rubber to protect the dog's nose and tongue from sticking to the cage in frosty weather. Rubber covering also gives an additional protection from corrosion. The muzzle for Border Collie has adjustable leather strap with classic buckle. It allows to fix the muzzle on Border Collie's head securely. 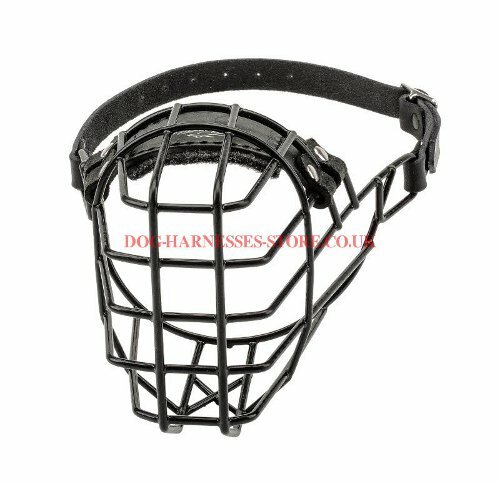 The dog won't be able to take this muzzle off with its paws. If you need, you can order the muzzle with special quick-release buckle that will save your time when putting the muzzle on and off. See our collaection of dog products for Border Collie.